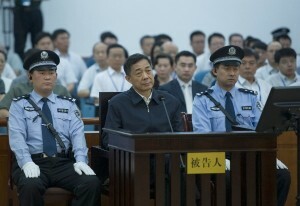 Ending a five day-trial that took place last month, Bo Xilai, former secretary of the Chongqing Municipal Committee of the Communist Party of China (CPC) and a former member of the CPC Central Committee Political Bureau, was sentenced to life imprisonment on Sunday for bribery, embezzlement and abuse of power. He was deprived of political rights for life and orders were issued to seize all his personal assets. The Jinan Intermediate People’s Court in east China’s Shandong Province announced the verdict. “Bo Xilai abused his power, causing huge damage to the country and its people,” the court said in its judgement. China has initiated a huge crackdown on corruption in public office, with the new Chinese President Xi Jinping announcing curbing government excess a central part of his ideology immediately after assuming office. “We must uphold the fighting of tigers and flies at the same time, resolutely investigating law-breaking cases of leading officials…” President Xi said in January this year. A total of 4,698 county-level cadres or higher-level cadres were punished by the CPC’s discipline watchdogs in 2012. In another high-profile corruption trial, China handed down a suspended death sentence to Liu Zhijun, former railways minister earlier in July this year. Zhijun has been indicted of charges of accepting 64 million yuan ($10 million) in bribes for over 25 years.